The idea of design and aesthetics will matter most for creative people when searching for a portfolio theme that best showcases their work. Presenting your portfolio of various products beautifully and adaptively is a strong point of the best WordPress Portfolio Themes. Portfolio themes comes with advanced features such as responsive and retina for mobile devices, advanced admin panel, which gives you full freedom to showcase your work to the masses. Well crafted themes are very unique in terms of design and aesthetics without hindering the presentation of the content. Full-featured Portfolio themes are professional solutions for photographers, illustrators and creative directors for a wide array of projects. Personality is a professional individual WordPress theme that was designed with the principle in mind – that isn’t just a portfolio site or blog, we wanted to escape the traditional blog as some users may need a professional web site to inform their audience of their skills, background, or just who they are as a person. 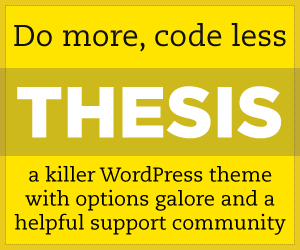 There are a lot more features packed into this theme to work your way and to be flexible. You have multi category layouts, not only blog layout; You have media gallery to showcase videos and photos; A custom query widget allows posts from any category to be added to any widget area on the site, as well as allow you to shape the site in many ways; Personality has an amazing HTML5 player for locally hosted videos HTML5 with subtitle support. Fully controllable slider to display videos; Mid-bar to display either mail subscribes or twitter updates; Custom Post Type for Testimonials and Video/Photo Media Gallery. Personality was built to work with multiple languages. It is also compatible with WPML’s multilingual plugin. The theme was designed with search engine optimization in mind. Galão is a beautiful WordPress portfolio/blog theme. It comes with a responsive layout that fits itself across a wide range of devices including mobile and tablets. The theme features a beautifully stylish retina ready interface, perfect for allowing your work items to standout, it looks amazing on iPhone and retina devices. The Galão theme is packed with gorgeous typography combinations, creating an awesome reading experience across all devices for you users and to showoff your work. Metalz is awesome portfolio and blog WordPress theme. It is easy to use and packed full of amazing features. The gradient header makes this theme stand out from the rest. With the header search and social media links being the first thing visitors see you stand the best chance of getting customers to explore, also you can easily add your contact details and show these in the header. The theme looks great on all devices, from mobiles to desktops!